This one comes from the “it catches up with you eventually” file. 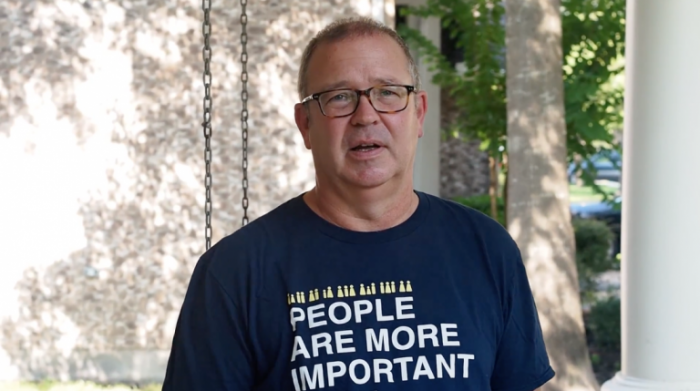 A former pastor who left religion and founded a “church” for atheists was forced to resign his position as executive director of the group after a member accused him of sexual harassment. Mike Aus first announced he was an atheist in 2012, on live TV, during an interview on MSNBC’s Up with Chris Hayes. Later that year, he said he was starting an atheist “church” in Texas. The group, dubbed Houston Oasis, made a big splash in the media and brought in speakers from all over the country (including me). While Aus and the group drifted away from using the word “church,” instead calling Houston Oasis a “secular community” that happens to meet on Sunday mornings, it seems they weren’t entirely above the kinds of scandals that often plague places of worship. That became clear this month when Aus was ousted following an investigation into sexual harassment claims. From the report, it is not clear if the sexual misconduct was with a man or a woman.